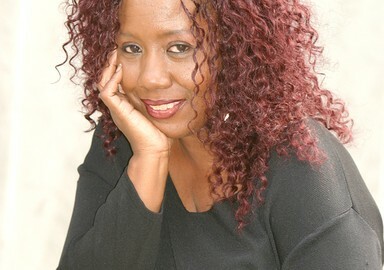 Her debut CD release "Sweet Like Chocolate" is primarily a combination of love poetry spoken to music ranging from; jazz, to rhythm and blues, to African drums. Naja's sultry vocals and sensuous rhythms have captivated her listening audience. Song 10-Creativity – Naja`s groove takes you over and take us back to our creative history and raises us up to the creative responsibility we have for the musical future. She reminds us to be determined in what we do. Naja`s voice is sultry, warm and encouraging. NAJA musical production and writing is very original, creative and she brings us back to that Philly Sound of Love, where everything you hear is like the first time, you just want to hear it over and over again. Check out song 7-My Love –Naja is original music, that new fresh breath of musical air. If you are tired of the of redundant sound of hip hop, the breakdown of the Black Family, the disrespect of the our beautiful sisters and the retrospect and progression of our individual struggle in America. Naja is the only one right now i can think of that is reminding us of our love and history and of our treatment and respect to each other and to separate ourselves from negative energy. Thank You Naja. The American Heritage Dictionary describes music as “the art of arranging sounds in time so as to produce a continuous, unified, and evocative composition, as through melody, harmony, rhythm, and timbre” (2007). By all means, Naja is a performer who certainly makes music that fits this definition. In fact, when listening to her, Naja’s music seems to speak to the soul. From the city of Philadelphia, PA, Naja’s sultry soulful sound is just what the doctor has ordered for anyone with the blues. We recently were able to catch up with the talented performer who spoke to Music Now. Q. What is your name? When and where were you born? A. My name is Karen Moore-Williams aka Naja. I was born and raised in Philadelphia. My husband, Robin Williams Sr. was also born and raised in Philadelphia. Q. How did you learn to play (sing) this kind of music? A. I am a classically trained pianist who has developed a love for all kinds of music. I love a little bit of everything from Prince to Pucchin. I also have a love for writing poetry and short stories. I have fused the two mediums together to develop a sound that is all our own. My husband is an accomplished drummer who has traveled and played in Philadelphia and abroad. He has composed all the music on our new CD release Chocolate Aphrodisiac. A. I was ten years old when I started piano lessons. I started at Settlement Music School in Philadelphia and went on to study gospel music with my godmother and Alvin Baker. Robin is a self taught drummer who started playing at nine years of age. Q. Where did you live at the time? A. I lived in Philadelphia. Q. How long have you been actively playing this kind of music? A. My husband and I have been working together developing the spoken word and music for the past two years. Our music is a combination of R&B, funk, hip hop and jazz. Q. What is it about this kind of music that makes it different from other types? A. The music focuses on love and relationships. It is an expression of the love between a husband and wife. This music is different because it speaks of love as a positive experience and engages the listener in a sensual, seductive manner expressing feelings of intimacy. Q. Are there different styles of playing your type of music? A. Yes. Every artist has a different approach and a different means of expression and that is communicating is our live shows. Q. When and where do you usually play music? A. So far, we have played primarily in the Philadelphia area. We have played at North by Northwest, The Arts Garage and did a production at The African American Museum in Philadelphia. Q. Do you ever earn money by playing music? Q. Do you play alone or with others? A. Sometimes I perform with tracks, other times I perform with a live band under the direction of my husband. Q. Are there others in this locale that plays the same kind of music? What are their names and types of musical instruments they play? A. Philadelphia has many spoken word artists who present their work and talents in various forms. Q. Have you passed your tradition on to others, who and when? Why is this important to you? A. Our sons have become involved with our projects either in the performance or production aspect. It is important to us that they have an opportunity to develop and perfect their talents. Q. What is your favorite song or tune to play? A. I love all of the songs that we play. If I have to pick a favorite, I think it would be the title song of the new CD ;Chocolate Aphrodisiac. The song is a fun song to perform and always get a positive reaction from the audience. Q. What makes a performance/song good? How do you judge a performance/song? A. When the audience responds to the words and the music, you have a great song/performance. For us, it is not just about the beat or the instrumentation. I like to know that the audience has heard what I am saying and can remember the experience in their life or long for it to happen for them. Karen Moore-Williams (aka Naja) was born and raised in Philadelphia, Pennsylvania. 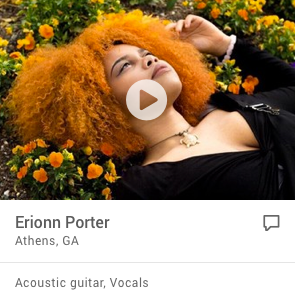 She is a classically trained musician who has been exposed and influenced by many great artists across various genres. She will tell anyone “I love a little bit of everything from Prince to Puccini". Her poetry and spoken word artistry is the focal point of her career. She was featured on the television show "Visions" in Philadelphia for her greeting cards designed for Black Men. She was also featured in the Philadelphia Inquirer for her greeting cards for incarcerated men. Her writing has expanded and now includes poetry with music and dance. In collaboration with her husband and soul mate Mr. Robin Williams Sr. her music and poetry were brought to the stage in the production "Sweet Like Chocolate: Poetry in Motion". The music and words put audiences in the mood for love, love, love. The debut CD release “Sweet Like Chocolate” is mellow and warm. The recently released (November 2007) “Chocolate Aphrodisiac” is hot and funky with a shot of warm soul. Now I write about the love I share with my husband, soul mate and best friend. He brings out the best in me." All of her music is designed for living, breathing and enjoying the passion and pulse of love.